Passages to the Past is pleased to bring you a guest post written by Nan Hawthorne, author of Beloved Pilgrim ! Before I started doing the research for my novel about the Crusades, BELOVED PILGRIM , I had never even heard of the “Crusade of 1101”. While it is arguably an extension of the famous First Crusade that took place from about 1096 to 1099 and which saw the taking of Jerusalem by Western knights, the Crusade of 1101 was unique in several ways. It began with a renewed call for pilgrims by a different pope, never even left Turkey for the Holy Land, and was a complete failure. Even its chronicling was different, as the three historians connected with it were not even present at the events of the Crusade. Though some of the same players and even leaders were involved the nature of the battles and achievements were starkly different. I learned about the Crusade of 1101 from the online class materials prepared by Boise State instructor Skip Knox. I immediately recognized the qualities of the events that made it perfect for novelization. Unlike so much of history, it had a distinct beginning, development, and conclusion. It had a set roster of historical figures as characters. It would be easy to insert my fictional characters and story. There really was only one story, the road to Mersivan and the massacre there, but with the addition of a historical mystery that would bring the novel to a satisfying if tragic end. Finally there was the solid element of “the lesson learned.” I could carry my heroine’s growth to disillusioned maturity through an event in history that would mirror what she learned. In the author’s note to Robyn Young’s Requiem: The Fall of the Templars , the author explores the need to choose between historical accuracy and good story telling. He described what changes he made to ensure a fast paced and coherent story, what events he moved about, what settings he changed, and why he did so. With the Crusade of 1101 I would need to do little, if any, of this. The event only took about twelve months, involved a continual progress through clearly definable routes, and only needed minor fictional adjustments to make the story work. It virtually told itself. There was never any need, at least not until the resolution of the Ida sub-plot, to embroider what actually took place. The very fact that none of the historians of the Crusade of 1101 had been eyewitnesses to most of it gave me leeway to speculate. Ultimately my battle consultant and I were able to look at the modern scholarship by Steven Runciman and correct what we deemed were inaccurate assessment of how the armies fought. In other words, we could be said to have improved on what was formerly supposed. 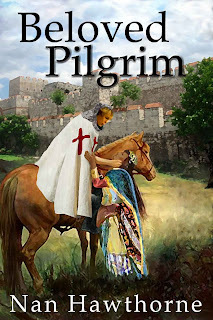 Choosing the Crusade of 1101 as the backdrop of my novel, BELOVED PILGRIM , exposed me and I hope my readers, to a fascinating piece of history, one that is not that well known yet had a tremendous impact on how not only the Crusades, but of the powers of the Mediterranean were to develop. I will be glad to have contributed at least some speculation as to how the real story unfolded. 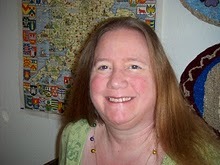 For more on the Crusade of 1101 as it relates to the novel, please see the auxiliary materials on my website, www.nanhawthorne.com. Nan Hawthorne is a historical novelist living in the Pacific Northwest. Beloved Pilgrim, which is her second fictional work and third book, is available at Amazon.com and Smashwords.com and will soon be on Kindle and on Amazon.co.uk. Unwilling to settle for the passive life of a noblewoman, Elisabeth dons her late twin brother's armor and sets out for the Holy Land. On the journey she learns many things, not the least of which is that she can pass for a young man because, as she says, "People see what they expect to see." Her lessons also include that honor is not always where you expect to find it, and that true love can come in the form of another woman. She encounters both heroism and betrayal in the doomed Crusade of 1101. Witness her journey across the Alps, her voyage to the golden city of Constantinople, and her struggle to survive with her ideals intact while she loses companions to hardships and destruction as Kilij Arslan's Turks turn the tide irrevocably for the Crusaders. - Giveaway ends on May 20th. Well, seeing as I can provide a US address, and it's my birthday and I fancy a good new read, I'll enter. Oh what an awesome idea for a historical novel. I love this because it's so unique. 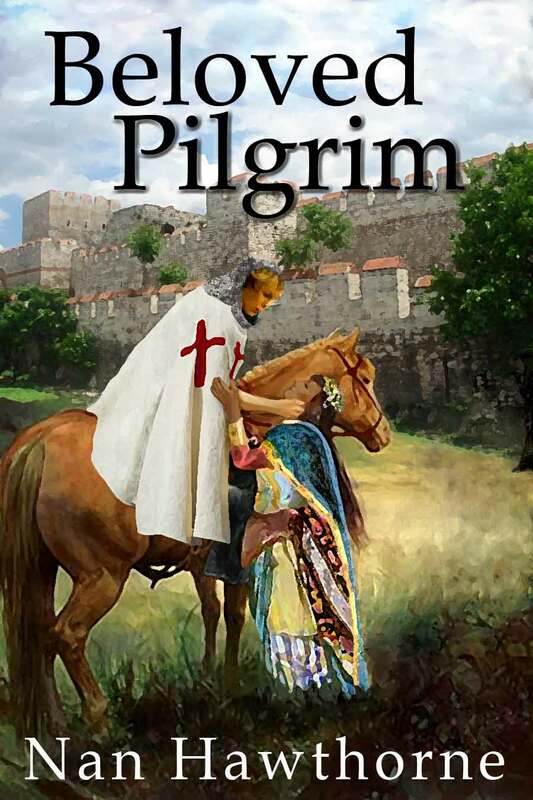 I would love to read Beloved Pilgrim! Thank you for giving away this interesting book! Well, first off - Happy Birthday to Beth. I find the Crusades to be an erm, interesting time in history. I love medieval historicals and esp one set during the Crusades -- this sounds marvelous. I love the author's attitude about people who don't fit in to their era - that got me. Thank you for the giveaway -- will have to chase down this book one way or another! Name/url should give you email, I hope. I'm ready for medieval read! Hi Beth, I love historical fiction,[ just reading right now Doc, and the Saxon series by Bernard Cornwell, almost done with volume 3], and especially those set in the Middle Ages. I studied a lot as well about the Crusades, so I would love receiving this book! I'll spread the word about your generosity on FB! Looks like a great book, love reading about the crusades. The crusades always disturbed me with the fighting/killing just because they believed they were right in their beliefs. So I find it interesting to read a woman's view of this period...especially from one who would actually want to fight like a man...hmmmm Great guest post and the music in the video had me...reminded me of Rome. Just shared the link on facebook. Jsut tweeted the guest post/giveaway. This sounds like a great book that I would love to read. Loved reading about how Nan did some of her research. I would love to read this book. I too didn't know about the Crusade of 1101. Stories about the Crusades are interesting as we have not seemed to get over them. Interesting information on this crusade. I think most people think there was only one, not realizing how and why they were organized. How nice for you that the "outline" for you story was already written. This story approaches these events from a very different view point. It should be interesting seeing how this relationship transpires. Forgot to leave my email in comment. I'm a big admirer of Nan and her great work on behalf of independent authors! I would love to win this book! My email address is mary (dot) clare (at) hotmail (dot) com. Thanks! I would love to read this book this summer! I Love the book cover, please count me in for the giveaway. Thanks!